EVERY THURSDAY! BierYoga is the marriage of two great loves – beer and yoga. Both are centuries-old therapies for body, mind and soul. The joy of drinking beer and the mindfulness of yoga compliment each other, and make for an energizing experience. Don’t forget your yoga mat and your favourite drinking buddy! Arrive from 18:30 to get your spot! 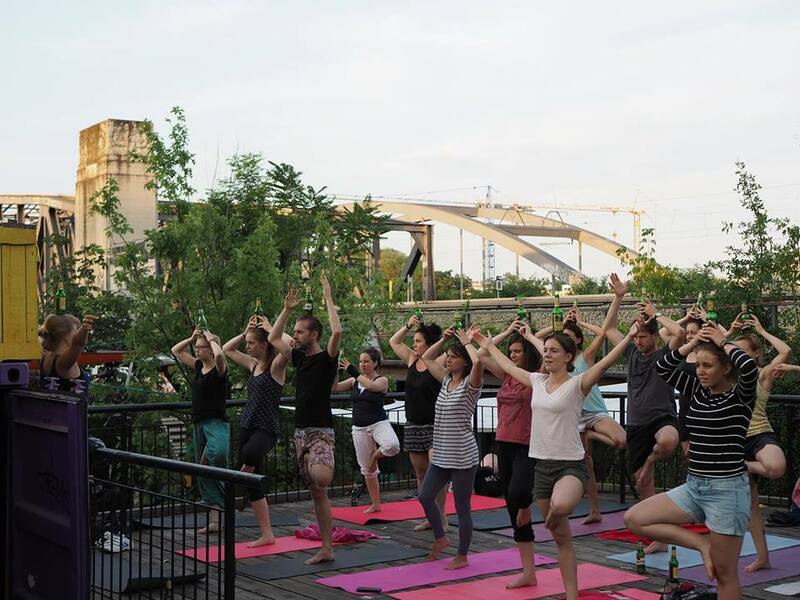 BierYoga ist eine Kombination aus Bier und Yoga. Für Biertrinker_innen mit Lust auf Yoga und Yogis mit Lust auf Bier. Bringt eure Yogamatte und lieblings Trinkpartner_in mit!